I want to be part of the movement that saves my profession. But this blog is not just for songwriters. A music lover can be part of the movement too. We need you! And you need music. As some of you already know, I'm one of the founding members of this not-so-little-any-more advocacy group called SONA. (Songwriters of N. America). You might be thinking, Yup! I've heard of them. That's because we've been very busy making a name for ourselves...fighting for higher streaming rates and fairer compensation for all music creators. Recording artists, producers and engineers included! Recently we were given kudos on the floor of the House of Representatives for our efforts in shaping licensing reform. Since the digital business model began, the way in which music creators are paid has changed drastically. Income streams are disappearing. If the business model of 20 years ago was as it is today, that favorite song of yours...the one you sang to your baby at bedtime ("Surfer Girl" for me), or danced to at your wedding, might never have been written because the writers might not have been able to sustain themselves long enough to stay in the game. Alas...(I can't believe I use that word, but it's appropriate), there is new promising legislation on the table: the MMA—The Music Modernization Act—which took years of negotiation and compromise between the different factions of our industry (songwriters, publishers, PROs, NARAs, Radio, streaming companies, ISPs and our consultant in chief, DINA LA POLT!!! ). SONA has been stomping Capitol Hill and has spent tireless hours on phone calls and text threads making sure that the issues we face don't get lost in the mix (no pun). We're at a crossroads now and this is a pivotal moment in time. The MMA passed 415-0 in the House but nothing should be taken for granted. If it passes in the Senate we're sure to see a rise in music licensing rates. But if it doesn't it could be another decade before anyone wants to jump into the war room again. SONA will celebrate its 4th birthday on June 3 with our 4th Annual SONA SUMMIT at the Village Recorder here in LA. We've come a long way from our first Summit—where we were rubbing the sleep from our eyes, wondering what the hell was going on with our royalty statements—to last year when we had to find a larger venue and buy more wine and beer because the whole community was catching on. This year we'll tell you what you can do to help push the MMA through. Honored guests will include Congressman Ted Deutch of Florida, a passionate supporter of creators' rights, as well as hitmaker Justin Tranter and the multi-platinum selling MoZella. We'll be hosted by the hilarious Greg Behrendt. We'll mix, mingle, cocktail, munch, talk and hear some MUSIC! That's what it's all about. ...signed by the legendary rock photographer Henry Diltz? Other priceless gems will be auctioned as well. 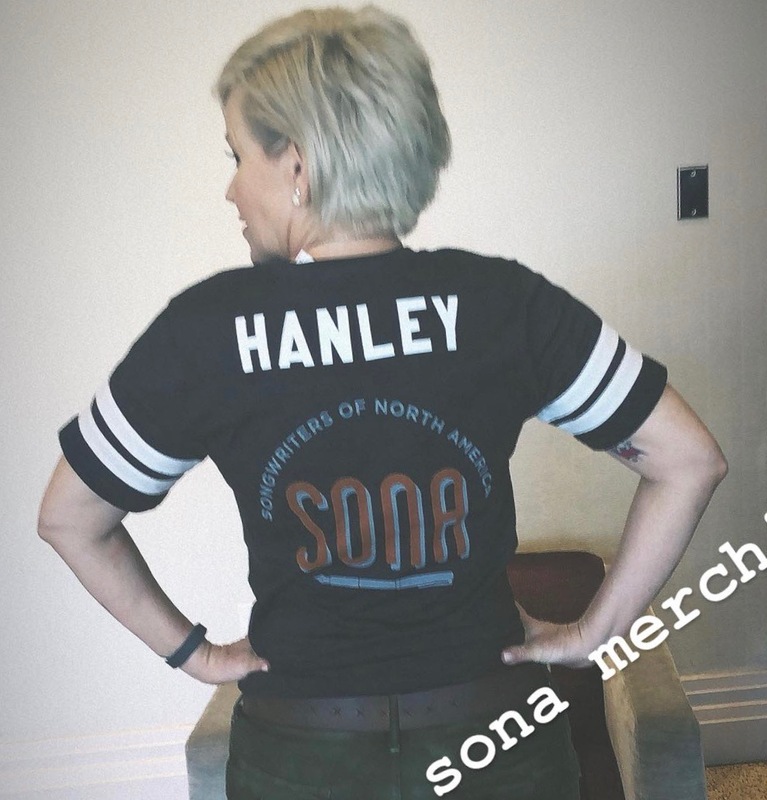 SONA merch will be available. SONA has already proved we make a difference. We want to continue our journey. We're doing this for you. Well, for ourselves too. But you know what I mean. If you haven't already RSVP'd please do. The room is filling up with people who want to make sure that when we turn on the radio or stream our favorite playlist the writers are valued and being fairly compensated for their hard work. Sometimes it takes 20 years to write a hit. This sh*t does NOT happen over night. It's going to be a super fun evening. If you're already a member please check your status and make sure you're up to date. If you're a die hard super fan of anyone whose ever changed your life with a song...please consider a donation of support. $25 will get (an arm or leg of) one SONA steering committee member on a plane back to DC the next time a matter comes up that's in need of advocacy. And I assure you, it will. Opposition forces are loud. Lobbyists are many. We are our own voice. Join the noise. Thank you for reading my blog! Subscribe below. Please give a like to my Serial Songwriter Facebook Page, Follow me on Twitter. And Insta! Check out my whole website. Listen to my GRAMMY nominated Audiobook. :) Would you be interested in hosting me in a Living-Room-Live this summer? If so let me know.